It’s officially the Holiday season and we’ve found the most hilarious knits to put you into the spirit of humor this Christmas! 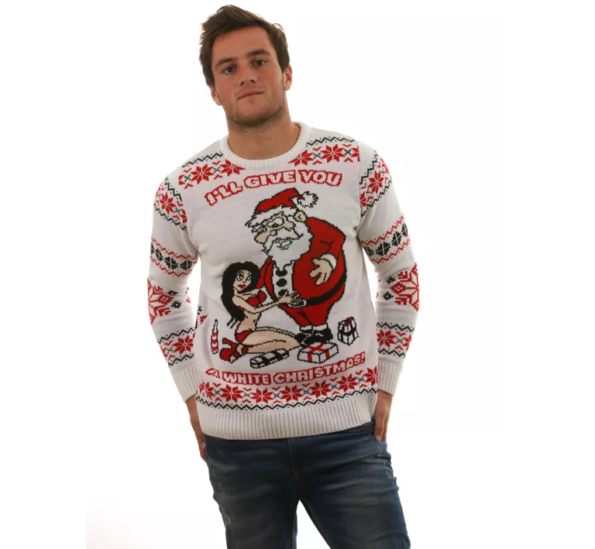 All made in England, Rude Christmas Jumpers is a British company which has a pretty awesome selection of ugly Christmas sweaters. Now, all we can say is that you’ll certainly attract attention in any one of these sweaters and, needless to say, there are endless jokes to be made here. 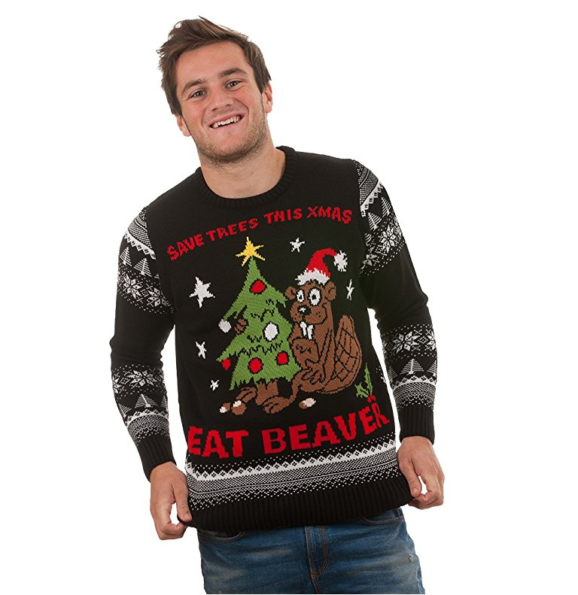 From “Santa always comes down the chimney” to “Eat beaver” fronted garments, there are some risqué, shock-factor choices for the Christmas parties and seasonal get togethers ahead. Make no mistake, our friends across the pond have taken their tacky knitwear seriously, ensuring that these sweaters are also warm and super soft in addition to being brilliantly brash. All that remains is to ask: would you be bold enough to wear one on Christmas Day?! Take a look at the new range in their Amazon store HERE and get free shipping in the US & Canada. Don’t forget to look out for Amazon Lightning Deals in the run up to Christmas and get ultra-tacky this season!